LOL. Valerie Concepcion being the reason Larah will be able to compete against Julia. Really nice and unexpected twist. Looks like the enemy of your enemy can be your ally. 1) Joem Bascon is here as the birth father of Julia. I'm sure this will complicates things for Julia. 2) As I figured, once the video of Larah was posted on YouTube she becomes an internet sensation and Valerie wants to sign her to their label! Knock Julia off her pedestal! I wouldn't consider this as a twist but an expected story arc. Yup hahahaa! 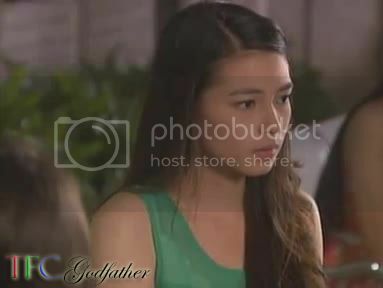 Use Larah to take down her biological mother and that fake idol of yours Julia! Let's see who will be the star now! You can't stop it Julia! Its your time to go down! This was more of another thing I hoped would happen because of the Charice Pempengco YouTube sensation buzz thanks to Kuya Alvin! AJA Larah! Its very much like a younger generation of Mara Clara or IKA's Margaux and Celyn... hope more and more people watch cuz it is certainly raising the bar now. Its not like IKA that has been on 'park' for weeks now. Yup. In my opinion it deserves to be moved in the 5:00 timeslot like Reputasyon did because it had a good story but sadly it is summer and nauso na ang Koreanovelas for teenage audiences sa ganung oras kaya we kailangan pagbigyan. Sana they'll do this for Larah when she is signed to Valerie's label. 1. Make her launch her own album tapos mauunahan ang album ni Julia sa gold record. 2. Make her have her own mall show with people filling n wayy faster than Julia's did. 3. Cancel Julia's show but the staff or something will recionsider and relaunch it with instead Larah as the star. XD. BTW concerning Valerie's label, technically the company is hers (her father was the founder of the label after all). Eric married her and took over the music label business end. She was busy doing other things abroad so she really didn't have much time, effort or knowledge about the aforementioned industry. She can do whatever she feels like cuz she still is part owner of the company. Its funny how Eric is banking on ONE star and if that one fails, there goes your label! Viva doesn't start and end with Anne Curtis, they have Sarah Geronimo, Cristine Reyes, Iya Villania, etc. Julia really doesn't have star appeal or legit likability which we see in Larah. Go Larah and Lorraine Castro (Valerie's character name on the soap)! Make Kare and Eric's life a living hell on heaven! With the continuous upward trend of its national TV ratings, ABS-CBN’s hit afternoon family drama series “May Isang Pangarap” is now part of the overall top 20 TV programs in the country. 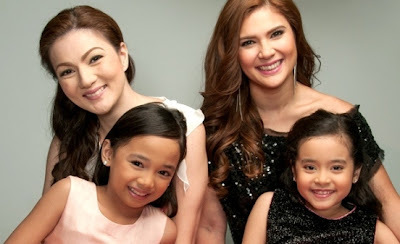 In fact, based on the data from Kantar Media last Monday (March 25), the teleserye topbilled by Carmina Villarroel, Vina Morales, and Kapamilya child stars Larah Sabroso and Julia Base landed on top 17, with its 11.2% national TV ratings. Its rival program in GMA “Unforgettable” only garnered 7.8% national TV ratings. Now that Larah discovers the bad attitude of Julia, will a competition between them spark up? Continue to follow the hit family drama series that inspires everyone to hold on to their dreams, “May Isang Pangarap,” every afternoon, 2:45pm after “It’s Showtime” on ABS-CBN’s Kapamilya Gold. For more updates, log on to www.abs-cbn.com or follow abscbndotcom on Twitter. Sing your heart out, Larah!